Dr. Lipton earned his Doctor of Podiatric Medicine degree at Temple University School of Podiatric Medicine in Philadelphia, Pennsylvania. He completed his podiatry residency at the University of Health Sciences in Kansas City, Missouri. In addition to being a practicing podiatrist, Dr. Lipton is the Director of Education of the Baltimore Podiatry Group Preceptorship Program, New York College of Podiatric Medicine. He serves as an instructor of podiatric surgery at the Maryland Podiatry Residency Program and Liberty Medical Center. 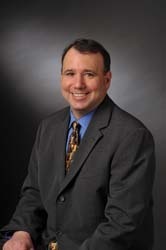 Dr. Lipton is a guest lecturer at professional schools throughout the Maryland area. Dr. Lipton is a member of the American Podiatric Medical Association. His research is published in peer-reviewed medical journals.